JK Rear Bumper Mid Width Bare 07-Pres Wrangler JK TNT Customs. 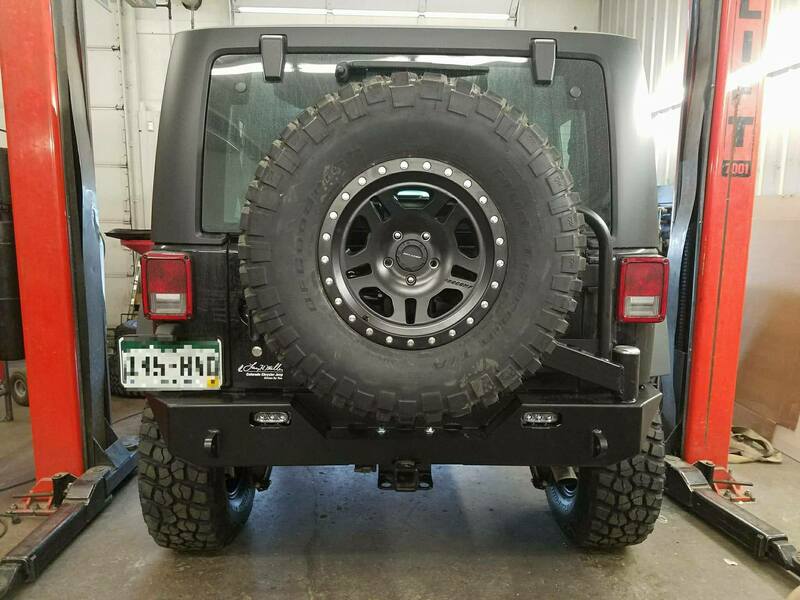 TNT Mid-Width Rear Bumper for the Jeep JK is the perfect balance between full body protection and excellent departure angle. 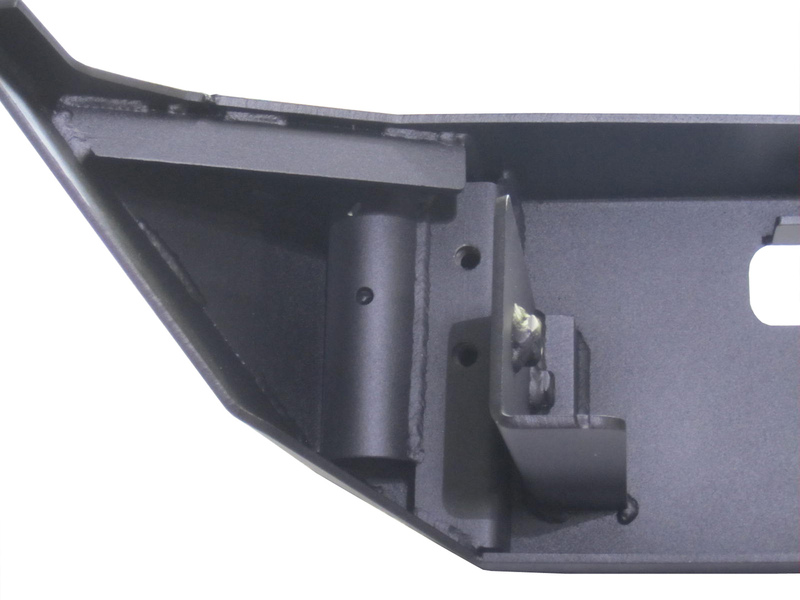 Looking for rugged mounting, tire carrier option and added illumination behind your JK? This is the bumper for your JK! TNT Customs rear JK bumper is constructed of 3/16 inch steel for ultimate strength without excessive weight penalties. Our full-width bumper stays out of the way while offroad with great departure angles all while maintaining smooth clean lines for a night on the town. Integral bolt-on side supports are included. Our side supports transfer the load to the frame to hold the bumper rigid when sliding off that favorite ledge or rock. They also make for a rigid platform for our optional swing-out tire carrier. Integrated back-up light cut outs are standard, light kit optional. Multi-mount mounting system. 14 points total! Compare that to the competition. 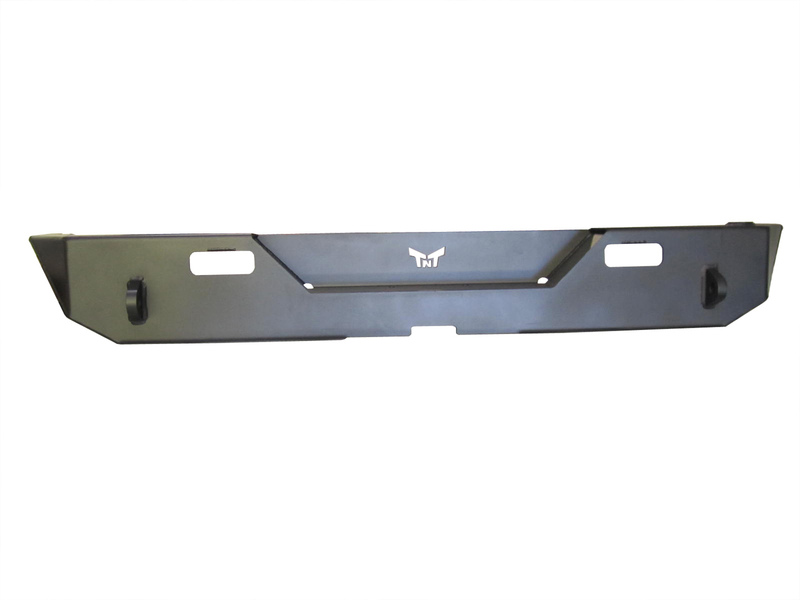 Utilize your factory receiver hitch for towing duties or as a third pull point, our bumper fits around the factory hitch. 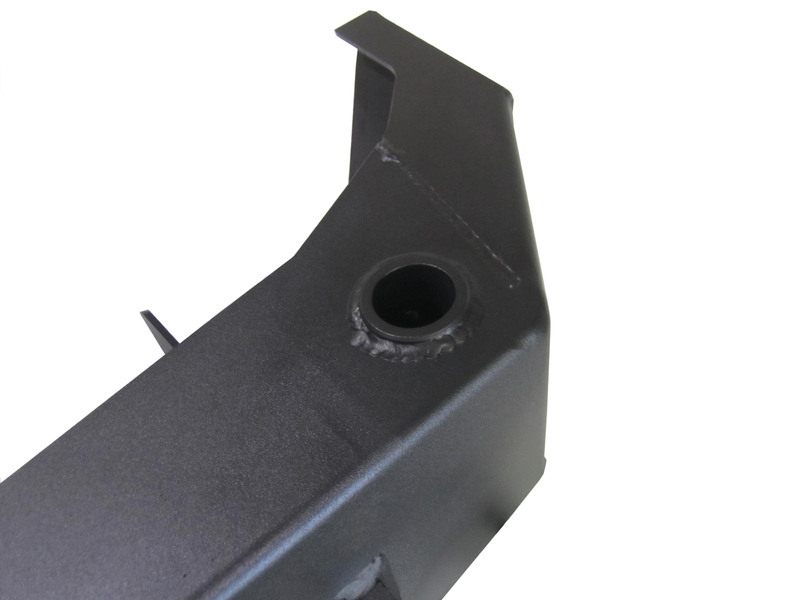 3/4 inch shackle mounts are fully welded to the bumper and frame mounting system. Accommodates up to a 35 inch tire on the stock tire mount.